This document is included in the agenda for Friday’s meeting of the City Commission and outlines the proposed transition agreement. Originally the operating agreement between the YMCA and the City of Ponca City was scheduled to end on March 31, 2019. The parties have agreed that an earlier transition of operations is possible and ultimately will be useful to the residents of Ponca City generallty and to the current membership of the YMCA. On April 24, 2007, Ponca City entered into a Recreation Center Operating Agreement with YMCA (the “Operating Agreement”) for the development, management and operation of the Ponca City Aquatic Center (the “Project”). The YMCA took possession of and has managed and operated the Project under the terms of the Operating Agreement and three Addenda. Collectively, these four agreements constitute the Operating Agreement between the parties. The purpose of this Agreement is to define and facilitate transition of operations of the Project from the YMCA to the City. There remain a number of issues outstanding between the parties and arising out of the Operating Agreement, which are not addressed and will not be resolved, waived or compromised by this Agreement. However, the parties have reached agreement as to the following items. The YMCA will cease to operate the facility and shall turn over all keys to the facility on Dec. 31, 2018. Current understanding is that the YMCA plans to close for the holidays at 2 p.m., so that physical possession and access will be given to the CITY at that time. All utilities will be terminated by YMCA on Dec. 31, 2018. CITY will arrange for new utility accounts to be opened in the CITY’s name no later than 12:01 a.m. Jan. 1, 2019, such arrangements to be made in advance. The parties understand and the YMCA expressly agrees that the utility bills for the December usage shall be paid by the YMCA in January or early February, but in any event within 30 days of receipt of the bill. The YMCA shall be entitled to use the portion of the Project facility currently devoted to child care to operate a child care program from Jan. 1, 2019, through June 30, 2019. This child care space is defined as the southernmost gym, the Arts Studio and the outside multipurpose fields. YMCA shall also be provided one office space for computers, records and the operation of the child care program for this same time period. YMCA shall pay the CITY the gross sum of $1,000.00 monthly for the use of this space. The child care program is scheduled to operate from approximately 3 p.m. until 6 p.m. of each school day through the end of the school year and such times as necessary for spring break or day camp. YMCA shall notify all of its employees of this transition date and said employees will be terminated from YMCA employment on Dec. 31, 2018, with the exception of those employees who will operate the child care program. The CITY shall have one or more Park Department and/or Human Resources staff present for this meeting, to facilitate the terminated employees in applying for CITY employment for such job openings as the CITY has or will have available on Jan. 2, 2019. City expects to reopen the Project on Jan. 2, 2019, under a new name or branding of the facility, such name or branding to be determined solely by the CITY subsequent to this Agreement. The YMCA membership is primarily month to month, based on a calendar month basis. 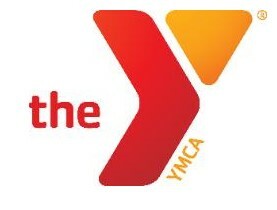 The YMCA shall not accept any money or any applications for membership for any period on or after Jan. 1, 2019. There do exist a few extended YMCA memberships which were paid in advance for periods other than month to month, and some of these memberships are for time periods yet to be used in 2019. As to these memberships, YMCA shall pay the CITY prorata for all of its retainage to cover the unused times of these extended memberships. City shall either arrange for refunds paid to such extended membership for all unearned periods of use in 2019 or shall honor the membership period for the same period as the extended YMCA membership. The parties are clear that no additional responsibility of any sort rests on the CITY or its facility as to these extended memberships. The CITY will prepare letters to be mailed to members by the YMCA. Not fewer than 2100 of these letters will be made available to the YMCA for their distribution to their individual membership lists. The City will prepare for inclusion in certain letters coupons to be included in letters to members with remaining membership time in 2019. YMCA shall furnish to City members with remaining time in 2019. Until June 30, 2019, YMCA will furnish to City insurance sponsored program participants the participating number when member consents. The parties still have unresolved issues over the maintenance and repair of the facility. YMCA shall pay to the CITY ten (10) days following the Transition Date all of the proceeds from the recent litigation settlement less payment of attorney fees ($28,933.00) and the balance of the Capital Reserve accrued for Capital Expense, with the understanding that the CITY shall use these funds exclusively to perform repairs appropriate to the funds’ purpose. YMCA shall notify the CITY at the point in time when they have exhausted the YMCA line of credit with Equity Bank, or at the point in time when the YMCA cannot draw further funds from the line of credit. The YMCA expressly authorizes Equity Bank and the CITY to exchange data on the line of credit and to schedule the payment of the security interest money as specified in the Operating Agreement to satisfy the obligation as specified in Addendum #3, paragraph 2(a) and (b), all to the credit of the YMCA; this payment to the bank shall not exceed the actual amount of the line of credit, including accrued interest, in full up to the understood maximum of one million dollars ($1,000,000.00), whichever is less. There are other provisions of Addendum #3 paragraph 2 which are not resolved by this agreement and are reserved for future negotiation or other resolution. The status of the exercise equipment is reserved for future negotiation or other resolution, but will stay in place for the use of the facility until March 31, 2019. The office computers, paper files, office supplies and copy machines are the property of the YMCA; the popcorn machine and the cotton candy machine are the YMCA’s ; these items shall be removed within 30 days following June 30, 2019. The desks and office furnishings are the property of the CITY. Cleaning equipment and supplies are the CITY’S. Kiln is the property of the CITY, as are the security cameras. The busses historically used by the YMCA as a part of their child care and summer cam programs are the property of the YMCA. Such buses shall be stored at a YMCA location other than the project after June 30, 2019. Eric Newell will resign from the YMCA Board on Dec. 31, 2018, and the CITY shall not appoint a replacement to the YMCA Board. GOVERNING LAW This agreement shall be construed in accordance with the laws of the State of Oklahoma, without regard to the principles of conflicts of laws thereof.